The second week crosses the north of Piedmont and finishes in Lombardy, from the Alps to the Pavese plain. 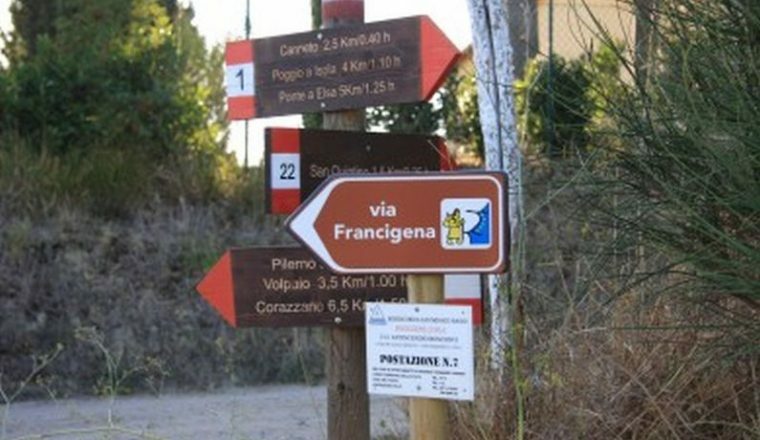 This is the second stage of the Via Francigena, the Pilgrim Route to Rome.The second week crosses the north of Piedmont and finishes in Lombardy, from the Alps to the Pavese plain. There are contrasting landscapes: the Alps above Ivrea, the hills around Vercelli and the wide plain before it. 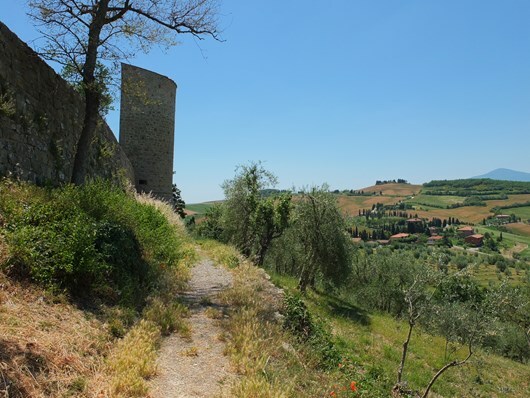 Towns rich in history with ancient medieval towers, basilicas and Renaissance buildings, alternate with the likes of Lake Viverone. 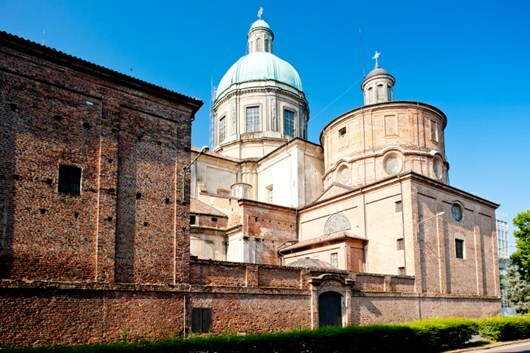 Finally, the Sanctuary of Madonna della Bozzola, consecrated to the blessed Virgin Mary and a destination for pilgrims. 7 nights. Total distance: 113 kms/71 miles. Highlights: Ivrea and Vercelli, Lake Viverone, Piverone Bell Tower, Sanctuary of Madonna della Bozzola. Terrain characteristics: paths, white roads and secondary asphalted roads. Trekking altitude: between 0 and 345 m, average duration of the stages between 4h and 6h30. Positive difference in height between 0 and 150 m per day. £655.00 per person based on 2 people sharing. Accommodation is a mixture of 2 and 3 star hotels, country houses (agritourismo) and B&Bs. Sample hotel list: Hotel Crabun Pont St Martin, Aquila Nera Ivrea, Hotel Royal Viverone, Hotel Vittoria Santhia, Al Viaggiator Leggero Vercelli, La Mondina Robbio, Montara (Garlasco) Il Pino.All rooms with private facilities; bed and breakfast service; luggage transfer; eventual transfer as described in the programme; detailed description of the route and informative material. The departure point of the first stage is Pont Saint Martin, the little village located on the frontier between Valle d’Aosta and Piedmont, which owes its name to the Roman bridge dating back to the 1st century B.C.Height at departure: 345 m a.s.l. After breakfast end of the tour or you can continue towards Pavia if you have booked one more week.